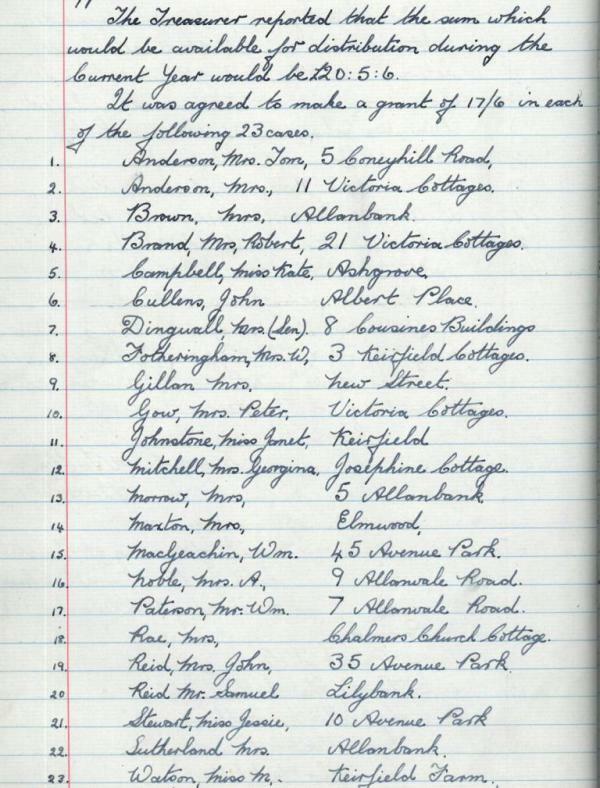 On 4th September 1906, Bridge of Allan Town Council received a letter from the solicitors Wardlaw and Morrison. The letter intimated that the late William McCowan had ‘bequeathed a legacy of £600 to the Council, the income of the capital sum to form a fund for the benefit of the poor and deserving residents in the Burgh’. 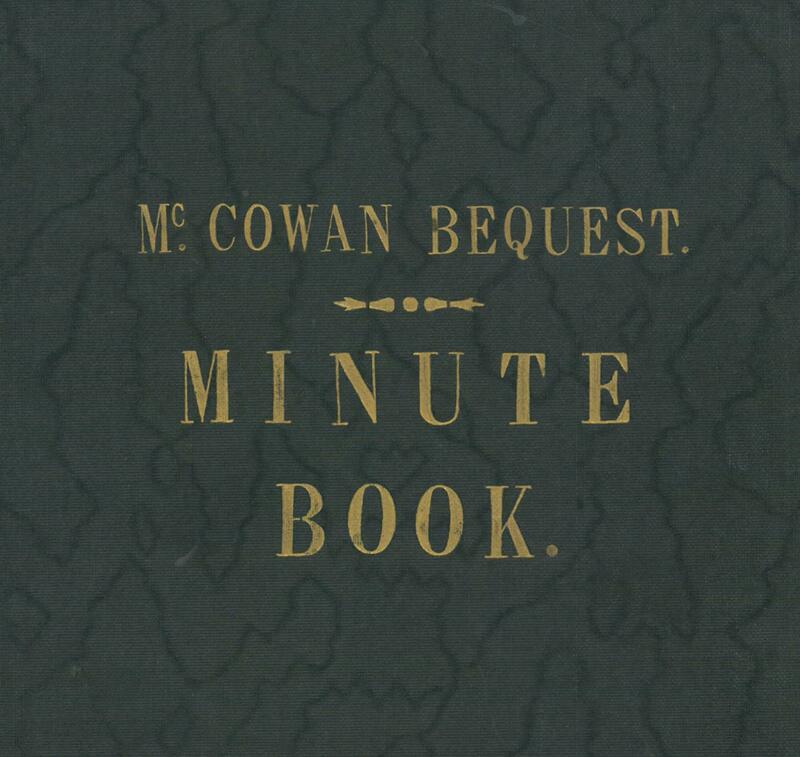 The McCowan Trust minute book is a fascinating record and a surprisingly good genealogical resource. It details specifically how and to whom the funds would be distributed to every year. 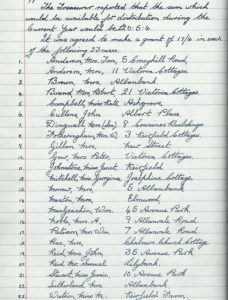 In order to manage the funds of William McCowan, a committee was formed consisting of the Provost, Bailies and Councillors of Bridge of Allan Town Council. 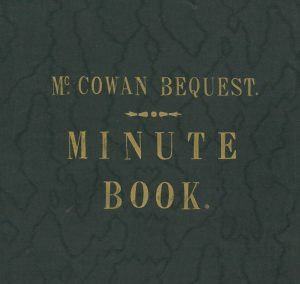 Every November or December the committee would meet and record in the minute book exactly who would receive money from the bequest. On average around 20-25 individuals would receive £1 annually as per William’s request. 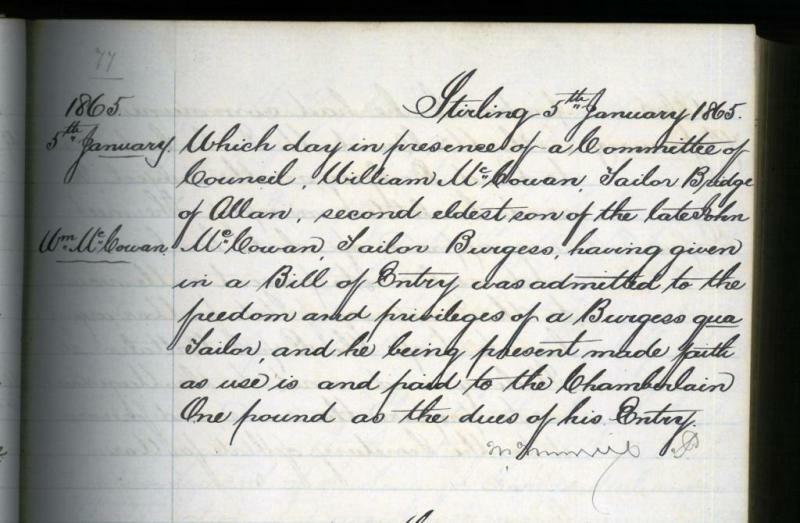 So just who was William McCowan? Born in Bridge of Allan in 1803, William was the son of local tailor John McCowan. William would follow the same profession as his father and at a young age was sent to London to learn the trade. William trained at Poole’s Tailoring House and after his return to Bridge of Allan started his own business on Henderson Street. William was also a member of the Stirling Incorporation of Tailors and in 1865 was made a burgess. 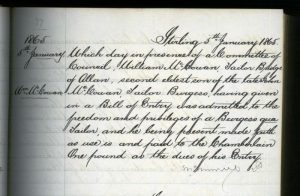 His entry can be found in the Stirling Burgh minute book. Burgesses were merchants or craftsmen who owned property in burghs and were allowed to trade in burghs free of charge. His obituary in the Stirling Observer also confirms he had ‘a deep interest in Masonic affairs’. William McCowan died on the 28th August 1906 and was buried in Logie Cemetery shortly afterwards on September 1st.